Calgary Bridal Expo is only 10 days away! Be sure to come visit us at booth # 45. We&rsquo;re excited to meet you and show off lots of new pieces as well as all of our samples from the Plush Store. We&rsquo;ll also have a draw for free save the dates and discount coupons so don&rsquo;t miss out! Can&rsquo;t wait to see you there! When planning your wedding, decisions and deadlines seem to come fast and furious, so if you find yourself a little tight on time why not order your invitations from the Plush Store? 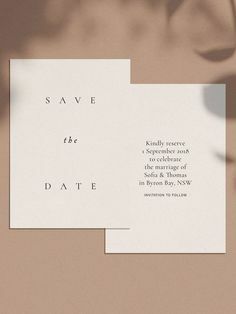 You can customize your wedding invitations by choosing fonts, papers and colors, ending up with a beautifully designed and handcrafted suite of personalized wedding stationary. Karra & Franciso&rsquo;s invitations are a great example of customizing a Plush Store design. By choosing a stunning patterned paper (black linen plumes from Envelopments), a pop of red, and gorgeous diamond paper, the &ldquo;Shelly&rdquo; invitation was transformed to match their personal style. Here is another one of our holiday sets &ndash; it includes a folded square card printed on metallic white cardstock, Swarovski crystal embellishment, matching gift tags, mailing label and a unique teal, lime green and brown color scheme. Below is one of our latest holiday designs, with beautiful contessa red and ruby paper accented with small Swarovski crystals. Be sure to check back over the next few days for more holiday ideas.